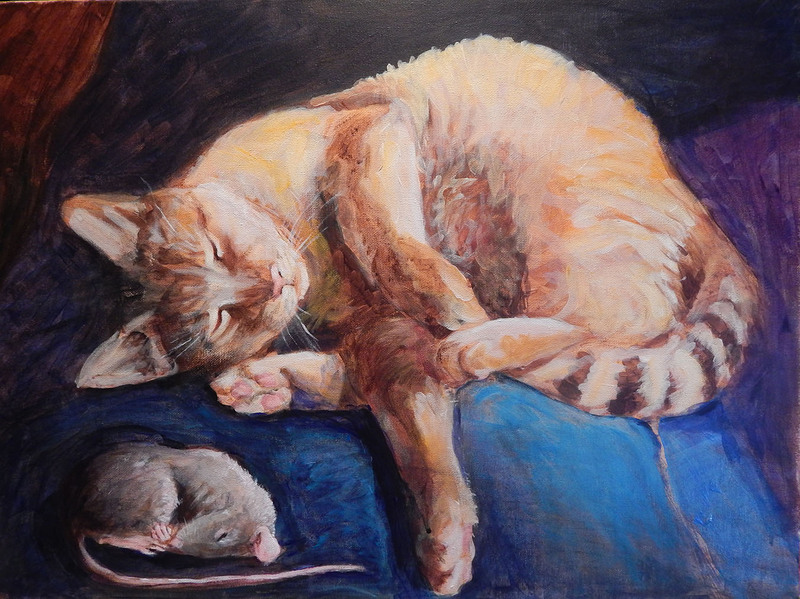 Fellow critter lovers, I’m excited about these new paintings that have made their way into the physical world and will soon be available for sale locally: An image of a certain ginger cat named Morris, who is dreaming of rat slumber parties; and a first foray into tattoo-style koi. 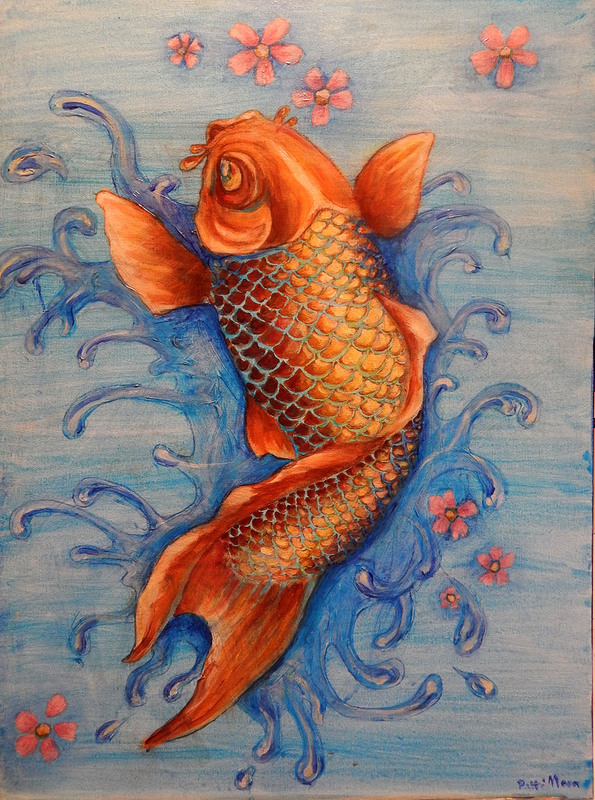 Both 18×24″ acrylics are on stretched canvas,with their edges painted and ready to hang! The paintings will be available for adoption at Jozoara Coffee Shop in Murfreesboro, TN for all of January 2014. I’m very excited!